The Box has a supporting logo, identification, and a faux website (www.nationalweatheranalysis.info) which adds to the credibility of its ruse. 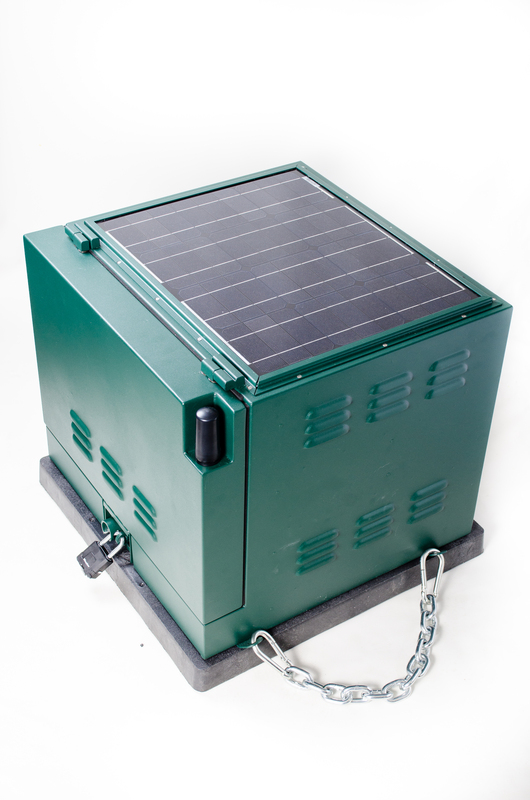 The Box has extended battery life with a built in solar panel for extended use and a remotely programable timer. The box has a minimum of five day battery life and has been extended up to as long as 25 days with remote\programming. The box is designed to be heavy, this allows a more permanent feeling to the box, and prevents the boxfrom moving on accident. All of the camera systems developed and sold by Covert Law Enforcement function on the3G/4G wireless network, which allows for remote viewing and playback. To gain all our information on "The Box" or to purchase, please log in or sign up using your Government Official Email.